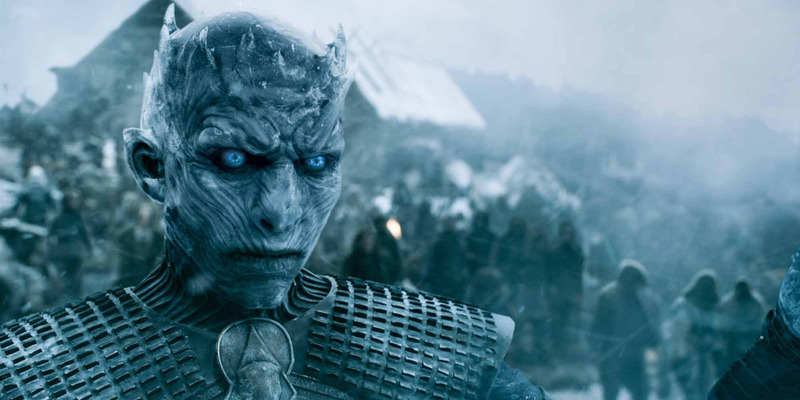 The Night King is perhaps the most terrifying character to appear on “Game of Thrones” — and this is the show that is responsible for King Joffrey. The Night King hasn’t actually done much so far, besides stand around and look terrifying in front of an army of White Walkers, but he is nonetheless a blood-chilling villain. 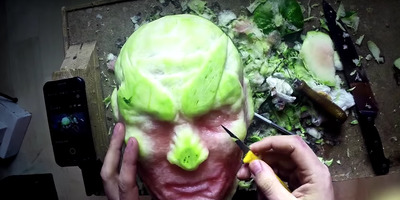 Creating the White Walkers on the show involves hours of painstaking makeup and prosthetics. 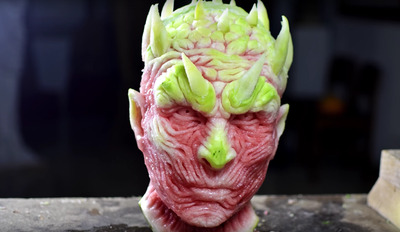 One inventive guy decided to recreate the Night King, but in an unconventional way. 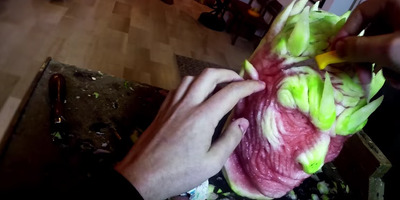 Italian artist Valeriano Fatica likes to make crazy stuff out of fruit. 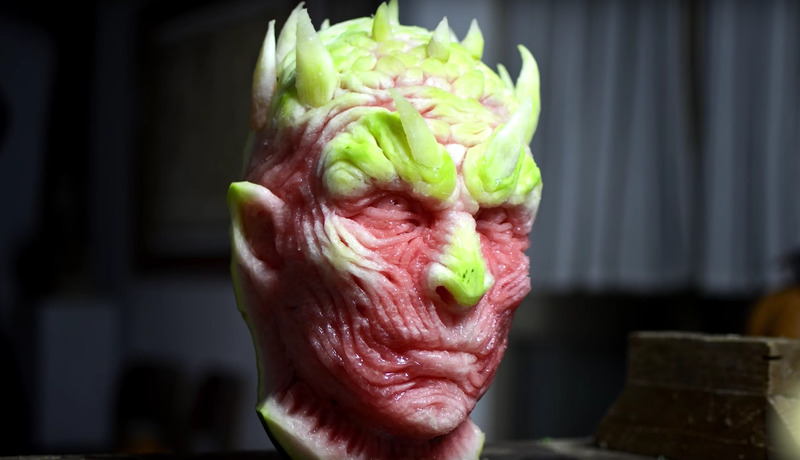 One of his most recent creations involved carving a watermelon into the Night King’s head. No word on how long it took before the delicious looking watermelon-turned-zombie was devoured.